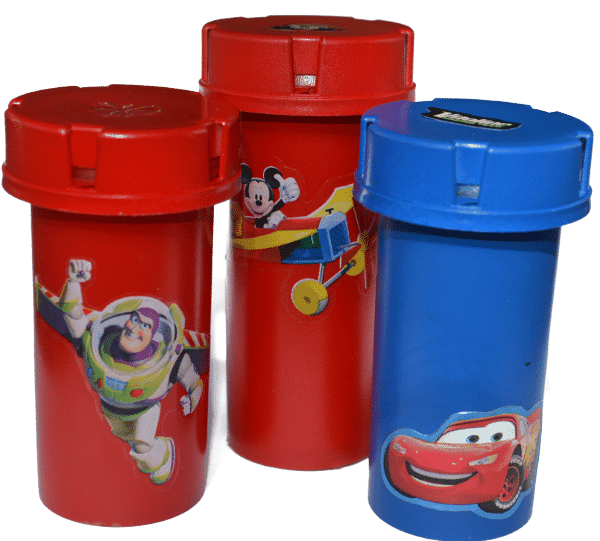 There are lots of opportunities to use coins at Disney World which has resulted in many people using mini-M&M containers to store quarters and pennies on their trip, including me. The problem with these containers is that they are huge. Each one would require $30-40 in quarters to fill up. That might work for some, but it was more than I ever needed, resulting in stuffing each container with tissue paper to keep the coins from rolling around inside of the containers. Using a tutorial I found for organizing cake decorating supplies, I made these bottles for storing coins on our next trip. Here's the simple process to creating these. 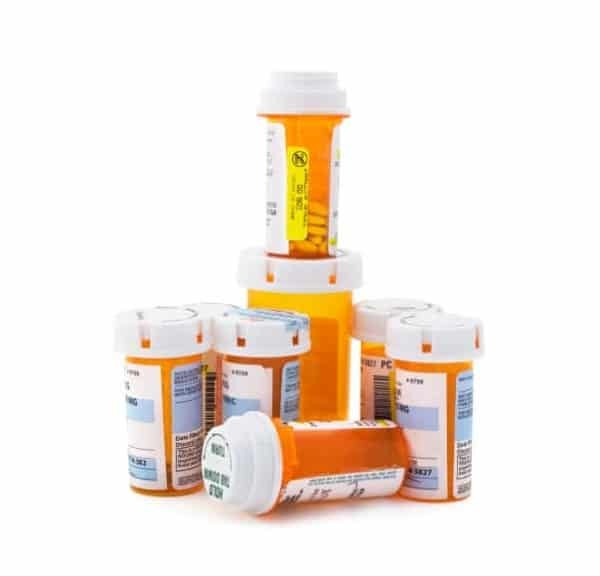 I happen to have a lot of these laying around (don't judge me), but I've read that sometimes pharmacies will give you a couple if you ask. If you have bottles with labels on them, pour rubbing alcohol in a bowl and submerge your bottle(s) in it for a few hours. The label will peel right off after being soaked for awhile. 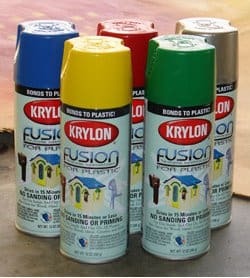 Using spray paint that works on plastic, spray the bottle(s) and lid(s) in whatever color you like. I used Krylon which is sold at Walmart and home improvement stores. Use several light layers, allowing for a bit of drying time between each. It took me about 3 coats, especially since the lids had words on them that took some work to get covered. Allow the bottles a day to get really dry and ready to be handled. Add a sticker or several stickers to personalize. Voila! 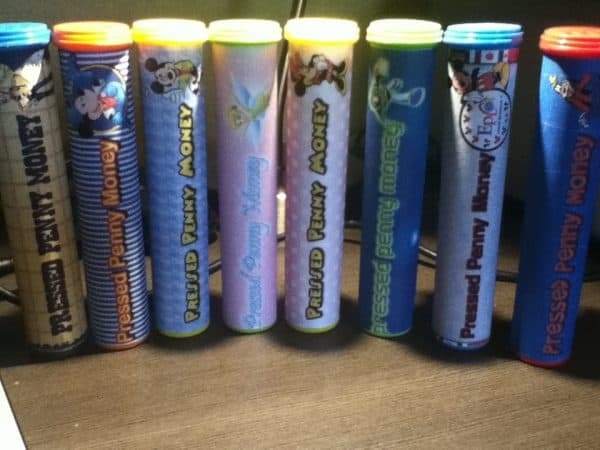 So where do you carry the coins once they are pressed while you are in the park? Wish I had seen this before I bought and ate 3 containers of mini mms last week. Ok – no I don’t – I enjoyed eating those mms! But I am glad I saw this before decorating the containers! Totally doing these instead! I LOVE the idea – much better than stuffing the old coin rolls just to carry quarters for toll or whatnot. 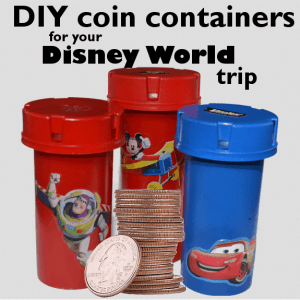 I almost hate to ask – but why are you carrying coins around WDW? What do you use them for? Ha! I guess I never mentioned it. They’re for pressed quarter and pressed penny machines. Great idea to use both types of containers and to have your girls help decorate the bottles – love it! You’re welcome, Michelle. Glad you liked it.